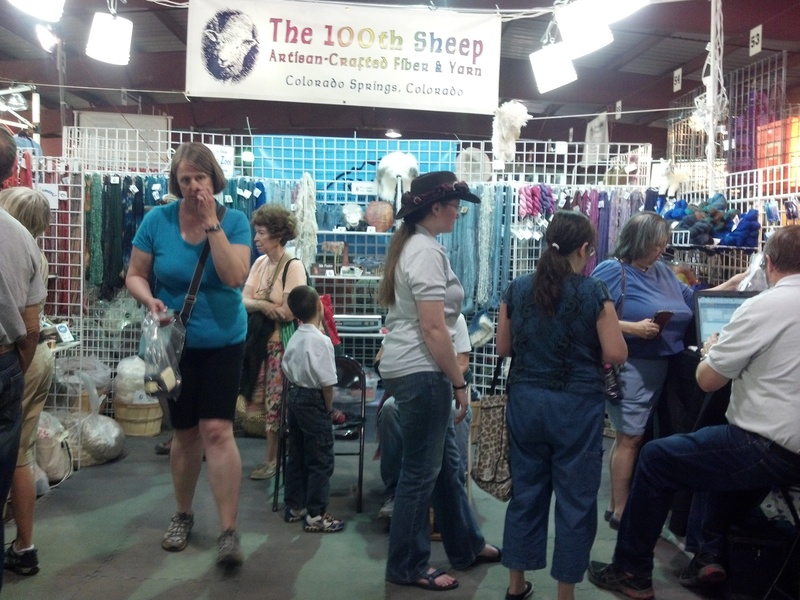 It had been four years since I had last been to Estes Park, CO for the annual wool festival. The first year I went, my friend and I didn’t make it there early Saturday morning like we should have. We instead had an appointment to view the Stanley Hotel. (It was the only opening we could find, so we took it.) I remember seeing fiber everywhere, along with people. I do not recommend going mid to late day at all. It was a pushing and shoving match to get to the next booth. It was not the best experience at a festival that I’ve had. Hence the reason I kind of quit going and started going to Taos, NM instead. My aunt originally wanted to go up with me to see the animals, but instead she left me for my mom and the bead show in Denver. It’s not like they don’t have one every two months! Anyways…I decided that it was time to give Estes another chance. The reason I was willing to give this festival another chance was a pattern I found in the recent Jane Austin Knits magazine. I found a pattern that I just had to have, but there was a problem. Our local shop was in the process of closing, and I couldn’t find enough yardage to complete it. I then decided that I was going to make it from the ground up. I have a couple of friends who have been parading around in their handspun and hand-knitted items long enough…that I wanted to join the group! I spin, but I have never knitted with any of my handspun yarn. 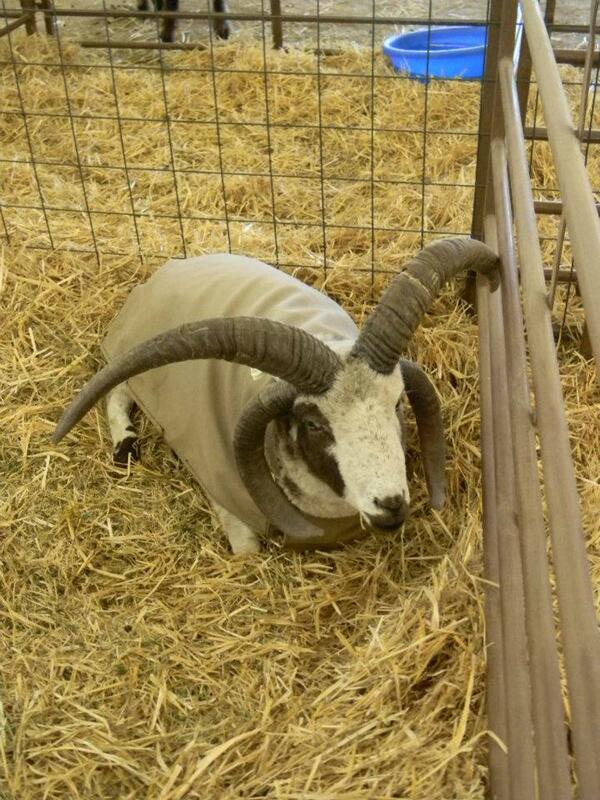 So the plan was to get a full fleece, but I didn’t know what kind. Since my aunt had cancelled on me for Estes, I almost thought about waiting for Taos, but that would have to be til October. I didn’t want to miss out on the available fleeces another three months. So that is what got me to change my mind about going to Estes Park. I have too much…well not too much, but enough Wenslydale and Teeswater, to last me a while. It wasn’t the right look I was wanting. 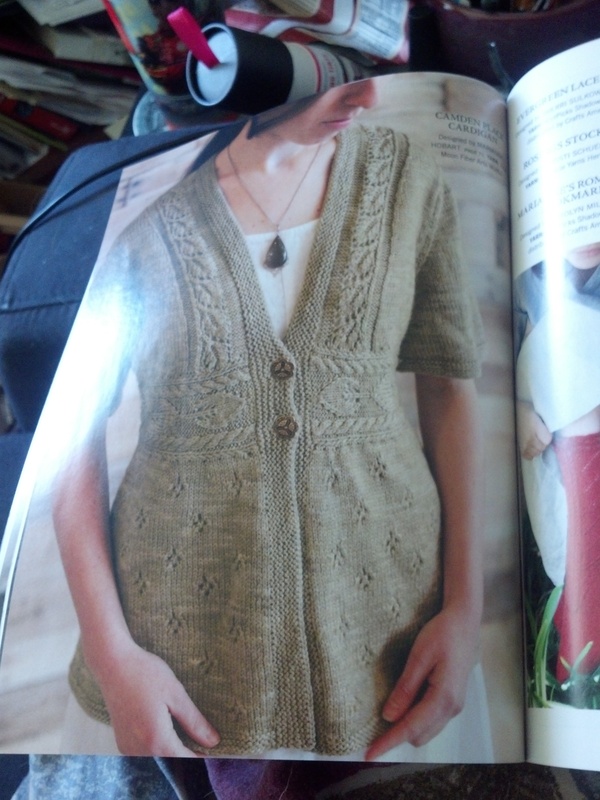 Going through the fiber book with Peggy, I decided I wanted a Bond fleece. 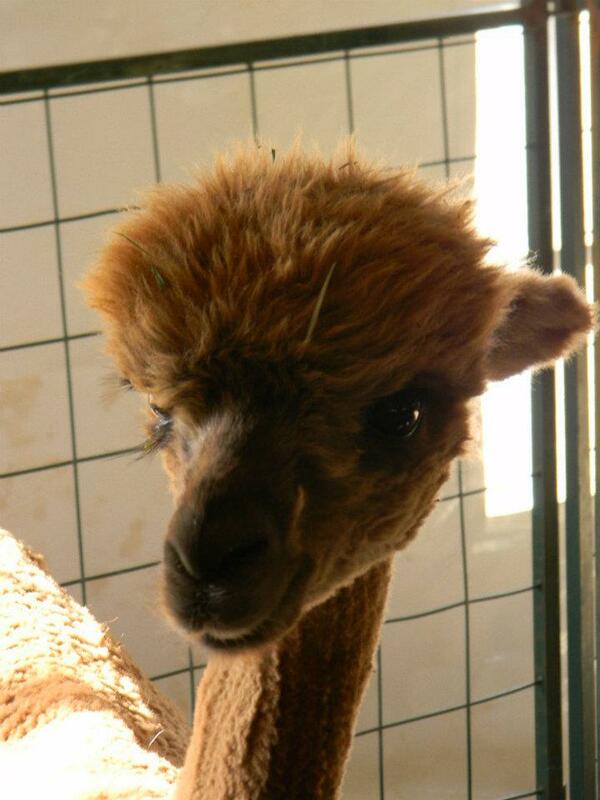 She had a gorgeous five-pound (or so) fleece that was a light/medium brown. I wanted it so bad! It was a good find. So that’s what the plan was. 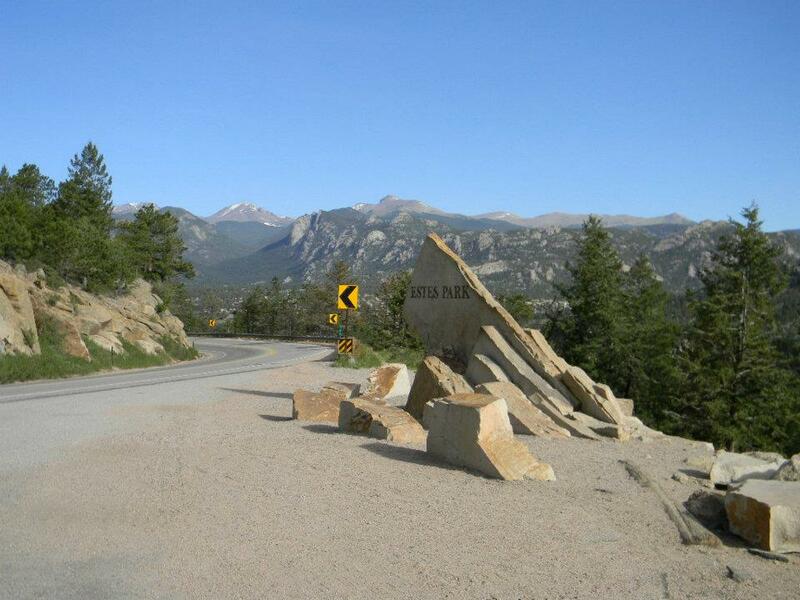 The drive to Estes Park was amazing…as usual! I had driven to my aunt and uncle’s place in Erie the night before so that the drive to Estes Park wouldn’t be that long. I again had to remind myself who was driving so that I didn’t wreck the car. Coming over the hill to see the town is mind-blowing. The market area didn’t open til 9am, but it was a great chance to look at all of the animals. Aren’t they cute!?! 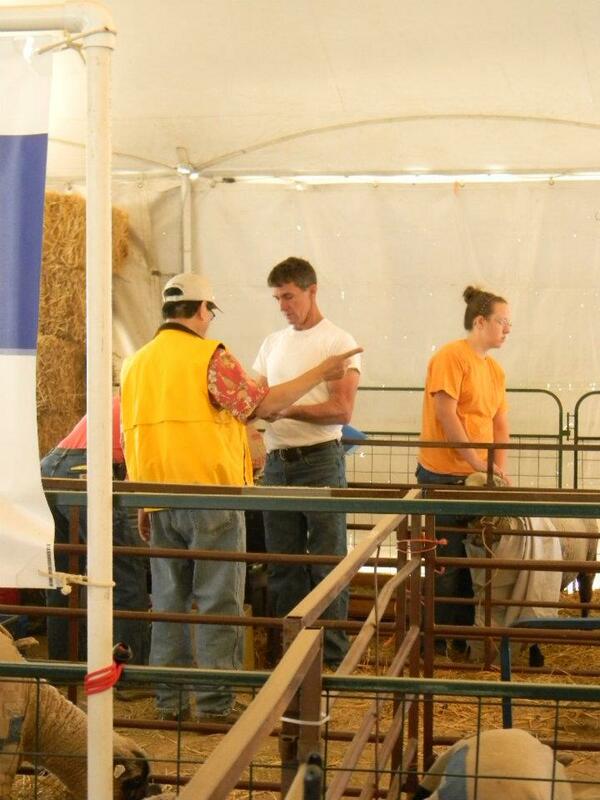 While looking at the animals, I caught a glance at a very nice looking man. I had seen him for the first time a few years ago at the Taos Festival. He is a professional sheep shearer. He is awesome at what he does and he does so looking the way he does. Such a cutie! As I was leaving the festival, I introduced myself to him and told him how I knew him. (A friend of mine has a farm out in Rye, and he shears for them.) Much nicer looking in person and up front! Once the doors were open I went and looked for Peggy’s booth. (I kind of asked her to find out where I could get the Bond fleece.) This is Peggy’s second or third time at Estes, but her first time by herself. 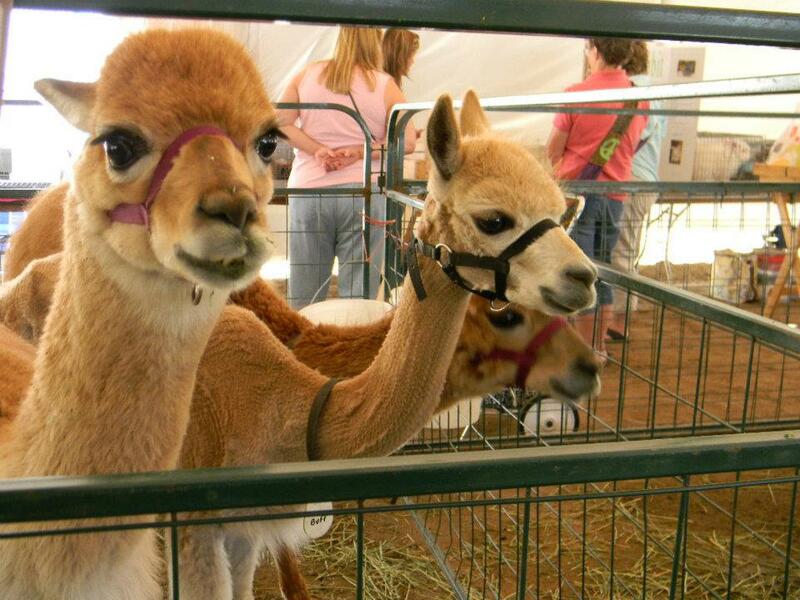 Another friend, who raises alpacas, decided to get her own booth. The lighting for Peggy’s booth was awesome! Her hubby is so creative! He used buckets to hold the type of bulbs that he wanted to use because he couldn’t find anything that would work. It was so much easier shopping for roving or yarn indoors with the special lighting. Peggy was able to help me find the woman who owned the Bond fleeces. Peggy hadn’t met her when she bought hers, because the woman only sent her fleeces for the Taos show…which is where she got hers. I didn’t find the same coloring as what Peggy got, but I got one that’s light grey. 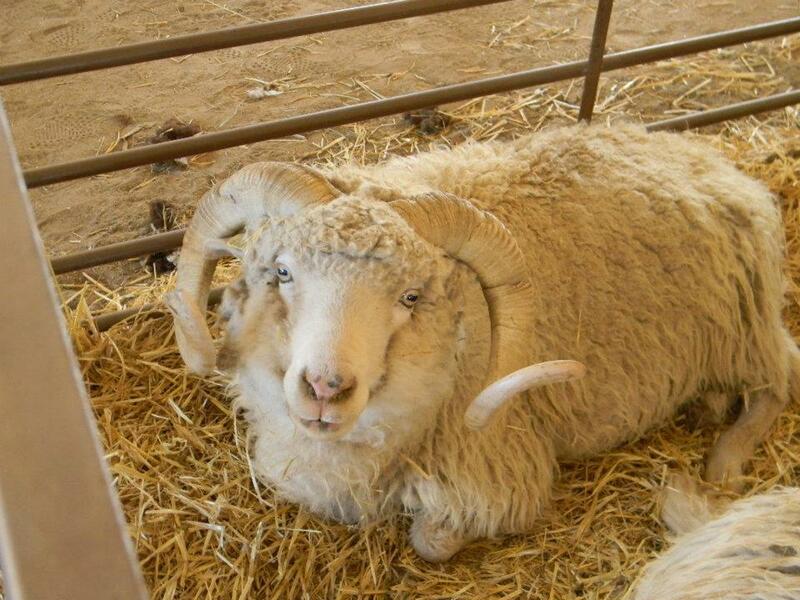 The ram must be big because his fleece had been divided up into two bags. I really wanted something closer to five pounds, but instead got 4.2 pounds. Why not get the other bag? I couldn’t afford both bags, even though I really wanted them. Each bag was $100!!! The reason? 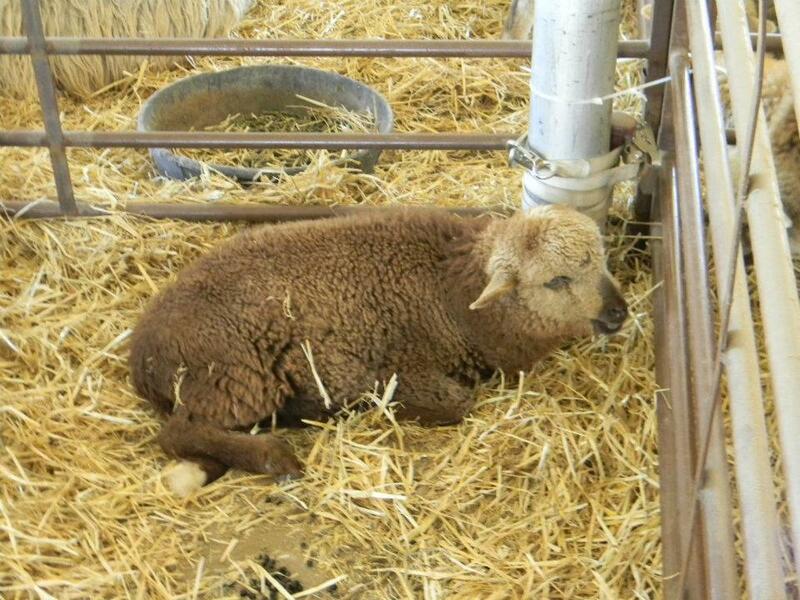 It’s an Australian sheep that isn’t too common. Yeah…oOo! Then I found out that she didn’t accept cards! I was all gung-ho on putting it on a card, but no. I had to do a check. It’s all good though. I’ll have to keep my eye open at Taos to see what she sends out for that festival. Once the big item was crossed off my list, I was able to roam around without being pushed or shoved. It was nice. The getting there early totally paid off! I found a lot of gorgeous roving! What was even better was that I didn’t have to be pushed and shoved in order to look around. I’m not the type of shopper that has to go into every single booth to look at everything…unlike my mom and aunt. I did find an 8-year-old girl spinning on a wheel. I thought that it was amazing that at her age she had the treadling and drafting down! Doesn’t she look awesome!?! I have a 7 yr old niece that love crafts. I’m trying to decide if and when I should teach her how to knit and spin. I guess after seeing this, I have my answer…soon. The wheel that’s in the background with the open spokes…I totally wanted, but didn’t have the money to buy it. With all of the roving that I found, I did have to talk myself in and out of buying a new drop spindle. I had all of this fiber, but nothing to spin it with! I already have about four spindles, but we all know that doesn’t mean anything, right? 😉 I was at the festival for a couple hours and then I decided that if I stayed any longer I would run into the crowd that I was trying to avoid and I would spend more money than I already had. 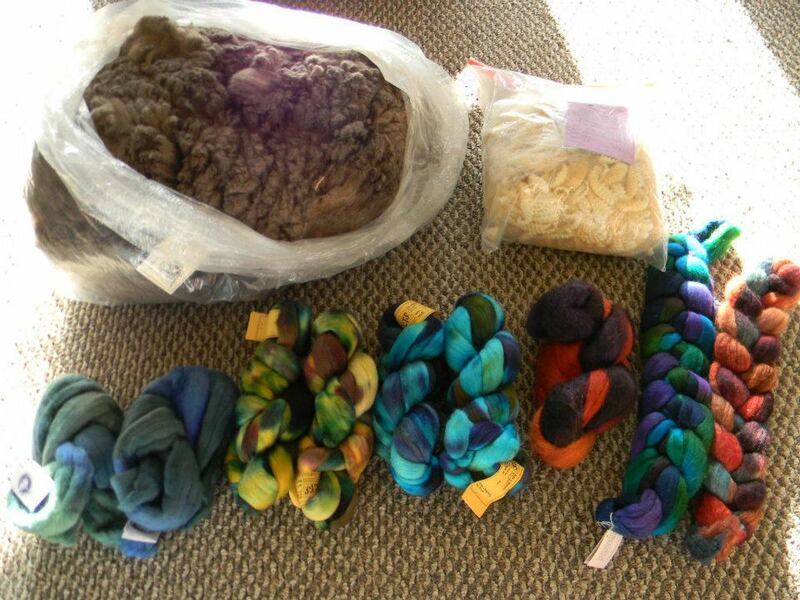 So the total was 5.2 pounds of fleece and about 2 pounds in dyed-roving. It’s all so pretty though!!! Before I left I did take some pictures of the town, sorta. 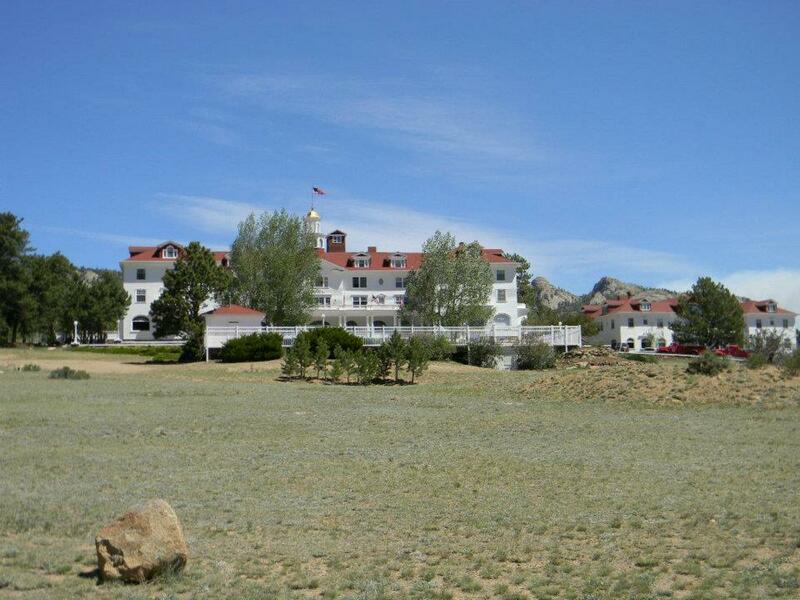 You can’t go into Estes Park and not visit or see the Stanley Hotel. It would be cool to be able to stay there on their off season to see if you could experience something spooky. So even though I got what I wanted and I spent more than I expected, I probably will hit up the Taos Wool Festival. It’s the first weekend in October. My aunt said that she’s wanted to go down there for a while, but then she mentioned having my mom going. I’m not saying that’s a bad thing, but I will be getting my own room if they do both come with. My aunt snores really bad, and my mom can sometimes snore/moan in her sleep. So maybe something either across the hall or down the hall or on the other side of the hotel might do. lol Although buying stuff around my mom might not be easy. I won’t need to buy too much with the stash I got this time around, right? I can’t spin all of that by October…hahaha.